Do Something Great for You! Special Offer: Buy a package of 5 sessions and get 1 FREE! Use our packages for yourself or the whole family. Come in together for massages while you’re on vacation! 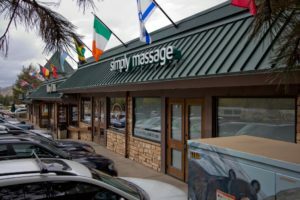 Simply Massage Breckenridge – newly remodeled! Gift Cards: Give the gift of massage.